North Carolina-based payments specialist Spreedly has secured a new investment of $150,000. Information on the investors was not immediately available. The new funding takes the company’s total to more than $2 million. Spreedly’s “credit card vault in the cloud” technology gives merchants and aggregator platforms the ability to work simultaneously with multiple payment gateways. 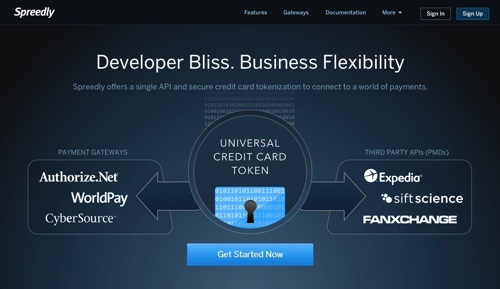 With its single API and secure credit card tokenization, Spreedly’s solution provides both greater flexibility and control over the payments process. Spreedly recently reported processing $50 million in credit card transactions in December 2014, the company’s 22nd month since its re-launch to its current incarnation. Spreedly launched a collaboration with PayItSimple in December, as well, helping the Israel-based POS consumer financing company integrate with 70% of U.S. payment gateways. Spreedly currently serves more than 70 gateways in more than 80 countries. Founded in 2008, Spreedly demoed its technology at FinovateSpring 2014. Justin Benson is CEO.